Don't feel bad if you've never heard of upstart loudspeaker manufacturer Era. I hadn't either - until recently. But if you or friends of yours are in need of great sound on a budget, they are well worth getting to know. Permit me an introduction then. 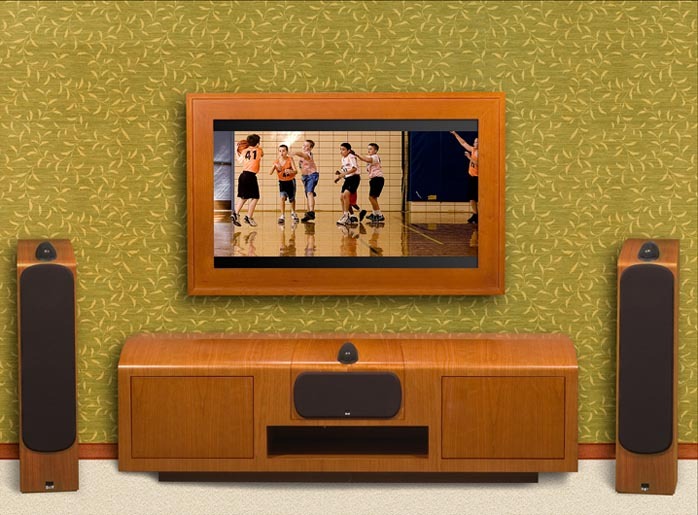 Incidentally, Signal Path also markets a line of audio/video furniture called Sona Design. Finished in real-wood veneers (Cherry, Rosewood and Maple) that match the Era speakers, I've seen one of the 22" x 72" x 22" credenzas and can tell you that this is the real deal. Think very sturdy MDF, not particle board. 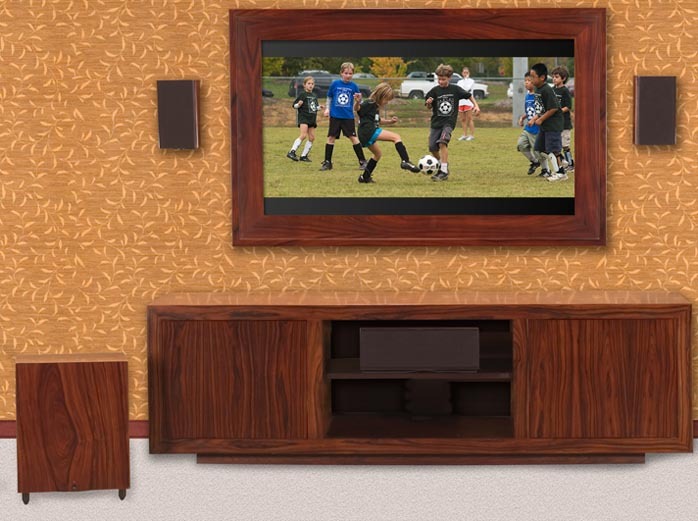 The furniture components come fully assembled, are well thought out with plenty of wire management options, are beautiful and of very high quality. Prices run $2K and up. The Era loudspeakers are complete in-house designs, with conceptualization of size, shape, driver configuration, power handling, voicing and driver type all by Era. For engineering chops, Jim and David went to Ariel Acoustics designer and long-time friend Michael Kelly. Kelly custom-designed the mid/woofers with a composite cone of fiber, mica and poly skin. The tweeters are a modified version of a unit supplied by the company that manufactures it for Era. Michael Kelly replaced the stock polyester dome with Japanese silk (for speed and strength) and altered the geometry of the plate surrounding the dome to improve off-axis dispersion. All cabinets are 1-inch MDF and substantially braced. All veneers are said to be of the highest quality and include Cherry, Rosewood, Sycamore and a beautiful and exceptionally done up high-gloss Piano Black. 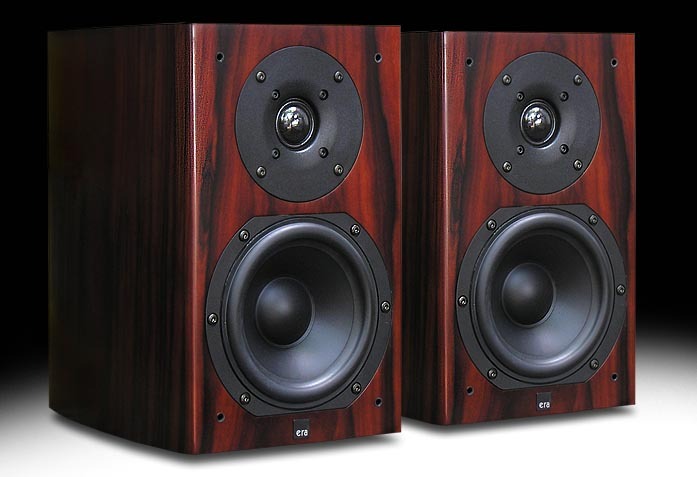 Era subscribes to the "watts are cheap" philosophy of speaker design to trade off efficiency against authoritative bass rarely heard from speakers this size. While admitting that their speakers are fairly inefficient, Spainhour told me that at CES a full 5.1 system driven by a 5-channel, 75 wpc Rotel receiver achieved ear-splitting levels before he requested a reduction of volume. 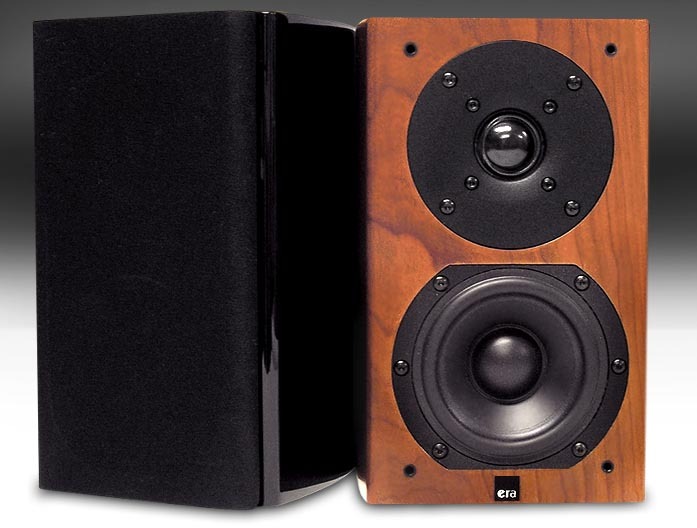 With the foregone conclusion that the bulk of their speakers would be used with inexpensive electronics, Era eschews what they claim is the customary 4dB peak between 3 and 12kHz that gives the illusion of excellent dispersion. Era's tweeter is said to go flat to 17kHz before beginning a gentle roll-off. The avoidance of this peak is designed to make the speakers more compatible with moderately priced receivers, $149 DVD players, cheap wires and predictably high levels of audible distortions at high frequencies. Era reasons that there's no need to exacerbate predictable problems with a high-frequency peak. While concept and design are distinctly American, all manufacturing occurs in China. From a fit and finish perspective, Era offers a lot of speaker for the buck. I've seen samples in every available finish and these are exceptionally accomplished speakers that completely belie their asking price. The pictures just can't do justice to their satiny finish and attention to detail. I popped out a woofer on one of the D4s and not only verified the claim of internal bracing but encountered a level of attention to detail inside that left me mightily impressed. Each speaker is equipped with a single pair of WBT-style shrouded binding posts and everything about these speakers - um, speaks of quality. The D4 utilizes a 4-inch woofer that crosses over to a 1-inch silk tweeter at 2.5 kHz with an 18dB high-pass filter in front of the tweeter as the woofer rolls off at 12dB per octave. 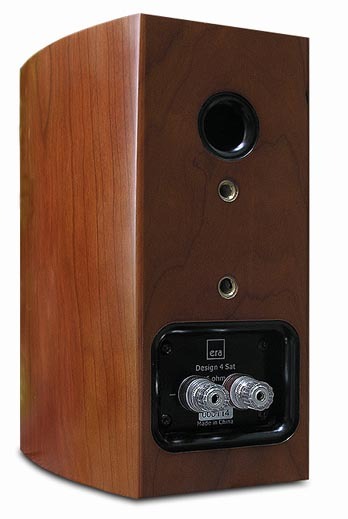 Era claims in-room bass extension to 60Hz and the rear-mounted port is tuned to the mid 50s to avoid one-note bass. The D4 measures a scant 9.4" by 5.8" by 6.8" and weighs a solid 10.6 pounds. 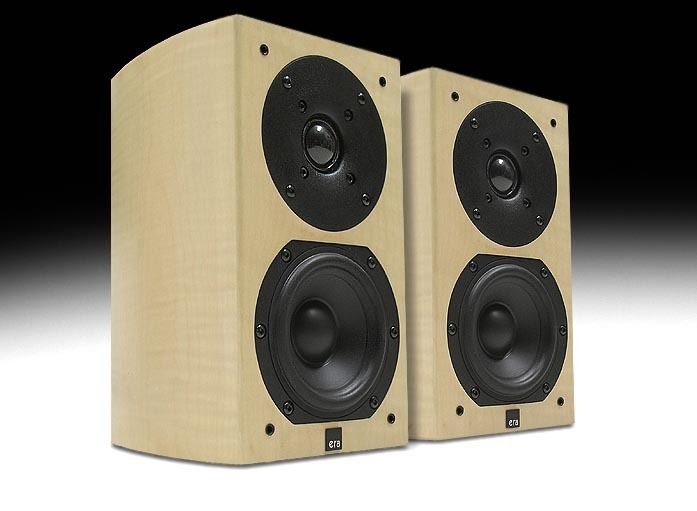 Recommended power is 50 to 150 watts for these 83.5dB efficient speakers. The pint-sized D4s even come with wall-mount brackets. The larger D5 utilizes the same tweeter but a slightly larger 5-inch woofer in a significantly larger cabinet measuring 11" by 7.1" by 10.4" that tips the scale at 15.8 pounds. Details on the crossover are the same as for the D4 but the speaker's in-room bass response is said to extend to about 50Hz. The rear-mounted port is tuned to the low 40s to extend bass response. 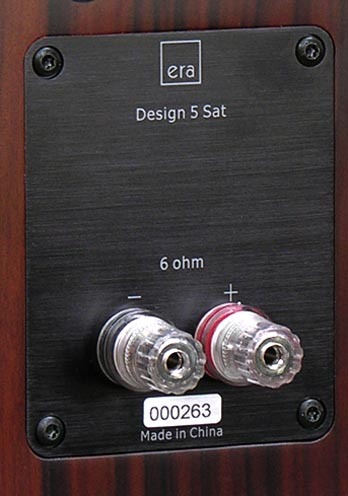 Era recommends amplifiers between 50 and 200 watts for the D5, which they rate as being 87dB efficient. In the listening room the first CD up was Donald Fagen's Kamakiriad [Reprise 9 45230 2] that has been on heavy rotation of late. From almost the first beat of "Trans-Island Skyway" I had to keep reminding myself that this is one bright sounding CD because, well, it sure did sound bright. The D4s are balanced and extended through the treble in a manner very similar to the $4,400/pr Thiel CS 2.4 - very revealing and honest. I won't blame them for exacerbating poor recordings but they sure don't sweeten them either. Not quite as accurate or transparent through the treble as the Thiels, the D4s did hint that they are less than one-seventh the Thiels price by overlaying the treble with just a bit of whiteness and getting just a little harder than the Thiels. Certainly not enough of a musical distraction to detract from the fun, it was just one hint that I was listening to relatively inexpensive speakers. Simultaneously, I was more than fairly impressed by how smoothly detailed the D4s presented the ride cymbals which were coming across with a good measure of air, body and detail. Moving down into the midrange, the D4s really began to step aside and allow the music through unencumbered. These speakers are wonderfully transparent and well behaved. My only hint at their socioeconomic class was a slight shrinking of the soundstage as compared to my reference speakers. However, image specificity remained very high and the music was transparent, uncolored and very refined. I've heard some pretty good budget speakers such as the little Axioms but the much more highly finished D4s will hold their own with any of them. Where they surpass any Axiom of their size is in the bass. It's simply phenomenally potent for a speaker of both this class and size. While deep bass is missing, the D4's presented this bass-rich CD in a most satisfying way, providing a good 90% of what I usually hear from the disc. It was easy to ignore the deepest bass which the D4s ignored. What was left didn't quite have the razor-sharp incisiveness of the Thiels or the Gallo Ref 3.1s but it was clearly beyond what one can reasonably expect for a speaker in this class - and a long way from sounding slow, bloated, strained or shy. In other words, the remaining bass was most pleasing. A much better recoding, Brian Setzer's Brian Setzer's Orchestra [HR 72061615652] allowed me to sit back and forget about both the recording and the speakers - well, almost. First, the treble sounded much better behaved. Extended and nicely detailed, there was no hint at all at the aforementioned whiteness. Cymbals were nicely present without splash or sizzle. Horns came across with enough blat to signify the real thing and percussion had a crisp quality without sounding brittle. The soundstage was much larger and better defined than on the Fagen disc. This told me that the speakers are indeed capable of reproducing what is on the disc. They simply don't force their own signature on every CD. Setzer's vocals were reproduced with a very high degree of neutrality and poise and, again, on par with any speakers at better than twice the price I've heard (and I've heard some pretty good midrange performance from some pretty good little speakers). Once again, where the D4s pulled away from the pack was in the area of bass performance. These tiny tots can really move some air as can be readily observed by placing one's hand behind the speakers with the music playing. Doing so produced tufts of air from the port that could be felt from three feet away on 'normal' recordings. Of course being ported at the rear means that one needn't worry about chuffing noises at all and being a small two-way means that the D4s come across with the coherence and single voice that one expects of most good two-way designs. I used the speakers with a good bit of toe-in, which made off-axis listening an unusually satisfying experience as the soundstage shifted but didn't collapse into the closer speaker. There was more than enough off-axis radiation from these two diminutive drivers to avoid any radical tonal shifts. All that usual audiophile stuff was well and good but what really impressed me about the D4s was to be found inside the midrange. Without the ability to measure the speakers' output, I have to assume that there is indeed some tailoring going on in the upper bass/lower midrange, resulting in an unusually full yet balanced sound from these little speakers. But at no time did I ever find sonic evidence of shenanigans. Setzer's voice was articulate, smooth and solid yet with real body rather than the transparently thin presentation of some other speakers in this class. There was a distinctly human presence about it. Never becoming thick or opaque, his voice was tremendously balanced and authentic - very nearly as good as I've heard it. Bass instruments also seemed equally well-balanced, sounding completely poised through their upper registers and only losing some composure as they approached the lower limits of the speaker, exactly as one could reasonably hope. Focus, too, was really, really good, indicating very good driver matching between left and right speakers. can't do. 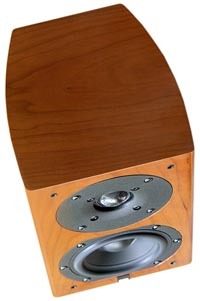 In general, speakers in this class initially impress with a lack of coloration and perceived detail but eventually one starts to crave the depth and body which the Era speakers pull off. Not miracle speakers, the D4s naturally did fail to generate much of the really deep bass power and drama present on Peter Gabriel's Up CD [Geffen 60694933882]. Hey, sometimes there's just no bucking the laws of physics or economics - though they did have their moments and by no means turned this CD into a failure. Quite the contrary, everything else came through with flying colors - tonal colors that is. Mid and upper bass (there's still plenty of that!) were solidly accounted for and the soundstage was even more gargantuan than previously observed. Gabriel's voice wasn't produced with quite the insight I've enjoyed over my reference speakers but any errors -- no matter how trivial (and it was trivial) -- were of omission. He sounded quite good, only lacking some of the gravel in his voice that seemed to be just barely glossed over on "Growing Up". "Sky Blue", however wasn't recorded with the same perspective on Gabriel's voice and it came across as superbly as I've heard it. This song's percussive instruments seemed as concussive and powerful as I know them to be and the D4s were well up to the task of reproducing this song with its intended spectacle and grandeur. If you're a fan of The Blind Boys of Alabama, these speakers won't disappoint. They faithfully rendered not only the myriad of vocal flavors and textures but separated each of them out with no smearing or homogenizing of harmonic detail. Here the D4s really shone at their best. Treble was once again very well behaved as it illuminated without spotlighting the various percussion instruments, offering an utter absence of the sibilance one sometimes encounters in budget speakers. 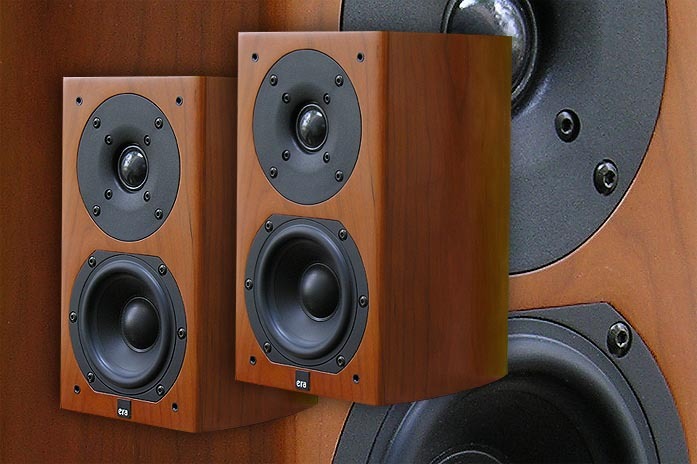 There are any number of small 6½ -inch two-way loudspeakers that with judicious care in placement can sound significantly larger and more robust than they are. But the 5-inch two-way that is the D5 is a speaker of another color. Where bass is concerned, I had to work hard to keep the D5 from overloading my modest 192 sq. ft. room. This is not a small speaker trying to sound big in a small room. It's a small speaker designed to sound big in larger rooms. If I was considering wall-placement of the D5, it would have been out of the question. That much bass reinforcement would have made the speaker unnaturally thick, boomy and bass-heavy. If you have a small room and are considering wall or near-wall placement, you'll want to stick with the D4 for proper balance. In order to balance the bass in my room, I had to move the speakers closer together (further away from the room corners) and pull my listening chair a couple inches forward toward the speakers and away from the rear wall. While the speaker's midbass remained full, the speaker's lower reaches were shelved down just enough that the speaker didn't boom on most recordings. A byproduct of the new arrangement was that the soundstage dropped behind the speakers, soundstage width broadened and the speakers disappeared to an even greater extent as the soundstage filled in the rear corners of the room which it had not quite managed to do before. Now the speakers didn't boom but they remained very potent - slightly more potent on the Fagen disc than I really felt comfortable with. Bass was almost supernaturally powerful. It didn't sound completely natural but at the same time neither did it infringe on the openness of the midrange which never became opaque or congested. Bass hounds on a budget take note - this in all likelihood is your magic speaker. Though the D5 utilizes the same tweeter as that of the D4, the aforementioned treble whiteness was never nearly as prominent as it was in the D4 when listening to the problematic Donald Fagen disc. The D5's fuller bass subtly shifts the tonal balance to the speakers' center - which means that the single fly in the ointment I experienced with the D4 would probably be a non-issue when combined with one of Era's little subwoofers. As for the D5, the Fagen disc not only resisted sounding harsh but it was also far less bright. As I know the Fagen disc to indeed be bright, I can conclude that the D5's slightly different balance makes it the more forgiving of the two speakers where problematic recordings are concerned. As I said above, the midrange is basically as clear and transparent as that of the D4s, though the brain will have to sift through all that bass to get to it. In other words, while the added dose of bass does provide a lot more meat on them bones, the bones themselves are essentially unchanged. The excellent imaging and high degree of focus I'd observed with its smaller sibling remained unchanged with the D5. Of course, the other side of the coin is that a speaker as full and meaty as the D5 becomes unusually rich and powerful at low volumes. Ye olde Fletcher-Munson curve indicates that at lower volumes, the ear is much less sensitive to bass and most speakers become extremely anemic as one approaches late-night volumes. This is the theory behind the 'loudness' compensation buttons on receivers, which bump up the bass as the volume decreases. The D5 sounds fuller and more robust and much more satisfying than any speaker I know of at low volumes, making it a fantastic choice for apartment dwellers or anybody who must restrict volume levels. At mid 60dB levels in my room, the D5s produced music with unusual completeness and competence. As I pretty much expected, a CD as bass-rich and robust as Gabriel's Up was almost unbearable in my small room, requiring that I remove the D5s to my thrice-the-size family room. Here the D5s were tethered to a Denon DP62L turntable outfitted with the Garrott Brothers' Optim FGS cartridge and a near-vintage NAD 7000 receiver. Now I'd achieved my idea of tonal balance. Still, the D5s remained nicely fulsome in the bass. Putting additional distance between the speakers and me also allowed a slightly more sophisticated treble with less edge and a silkier sheen. the fact that this is a compilation LP featuring songs of different recorded venues and vintages. The D5s didn't gloss over or omit any of the sonic cues that differentiated the individual tracks from the next. The title cut from Johnny Cash's final album, American IV: When the Man Comes Around [American 440 063 336-1] features acoustic guitars that were open and naturally lucid. Cash's voice featured the shallowness that separates the recording of the aging voice from all those recordings that preceded it. "Hurt" featured a much warmer rendition of both guitar and voice, though Cash's frailty was still evident over the D5s. I thought the D5s provided an exceptional window on this performance and recording as voices and guitar only lacked the crystal incisiveness that much more expensive and accomplished monitors can provide while delivering a surprising and satisfying dose of soul and humanity. I really enjoyed this LP over the D5s and Johnny's duet with Fiona Apple on "Bridge over Troubled Water" was one of the more emotional moments I've experienced lately. By any measure, this is exemplary performance from such an affordable system. But I was still completely taken aback by the organ featured on "Danny Boy" that energized the room to a completely surprising degree! nature, not additive. As open and transparent as the Era speakers are, understandably they don't quite make it into super speaker territory where it comes to ultimate transparency and the retrieval of minute details. This should surprise nobody. If I haven't already made it clear, those requiring the deepest of bass notes will require the use of a good subwoofer. Again, no surprise. But also clear should be my opinion that many listeners will indeed be able to enjoy the bulk of their recordings with either of these speakers as they are unusually robust as far as they go in the bass. Lastly, while macro dynamics are amazingly good for such small speakers -- they play unusually loud -- the types of amplifiers with which this inexpensive speaker will likely be paired won't exactly be setting any land-speed records where micro dynamics are concerned. 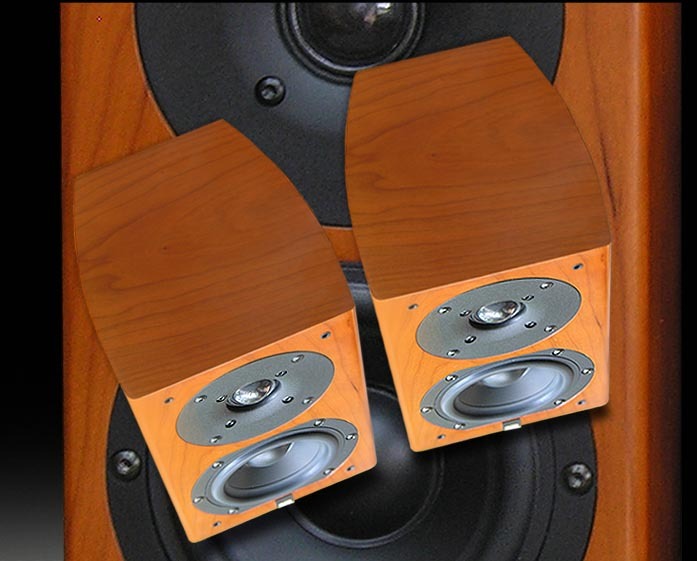 These speakers demand and can absorb some current and they will benefit from muscular amplifiers. The more you put into them, the more you'll get out of them. This is the one area where their budget aspirations entail somewhat unbudgetary consequences if you really want to hear them at their best. So much for what you don't get. What do you get? First, you get a beautifully finished pair of speakers that surpasses anything I've seen at this level. In this class one can reasonably expect a vinyl wrap or a rudimentary finishing job in a limited number of veneers. What Era gives you is exceptional finishes in a wide variety of veneers that I've never seen matched for the money. 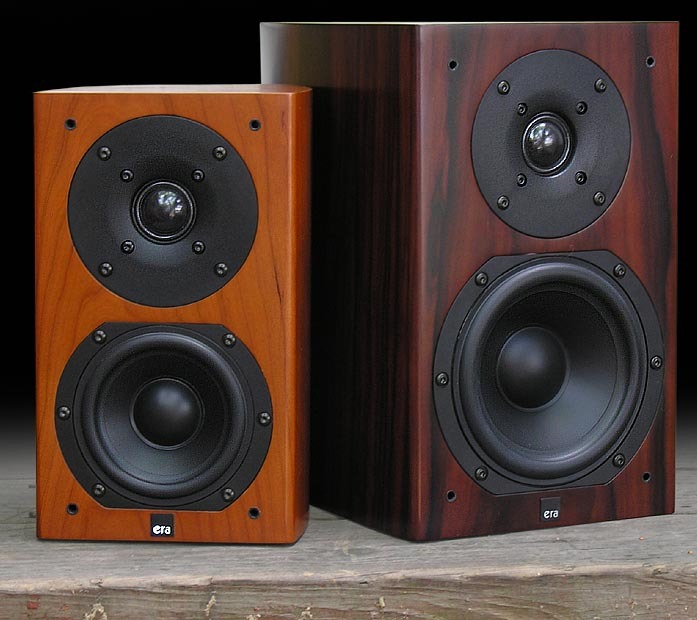 Of course, their beauty goes more than skin deep and in most aspects, their performance is a match for anything in their class as they put the squeeze on a lot of more expensive speakers - and certainly much larger ones. Era's uncolored midrange is exemplary in its clarity and expressiveness. The tweeter is, for better or for worse, almost ruthlessly honest, detailed and extended. Imaging and soundstaging are every bit what one can expect of a small two-way loudspeaker, which is to say, excellent. mine. 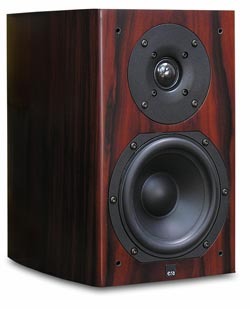 Think of the D5 also as a poor-man's Totem Mani 2, another stand-mounted titan of a speaker. If you think that this places the Era speakers in some pretty heady company, you're right. Check them out for yourself and see how they compare to your favorite small speakers. I'll bet you'll be as impressed as I was.